Do you need Extra Insurance for your Office Equipment when Moving? This is a question we’re often asked and it’s not always an easy one to answer. In your business, you may have several different types of commercial insurance in place and what that covers or does not cover can probably only be assessed by looking at your policy. However, some policies may only provide cover for your office equipment, including your IT kit, when it is resident at your normal place of doing business. So, it may be covered in your existing location and will be covered when you arrive at your new one but you may wish to ask what happens in between the two? 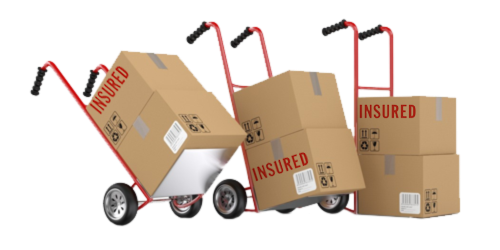 Some policies may include cover for your equipment while they are in transit to new premises under the charge of professional office movers but others might not do so. It’s certainly worth a bit of reading and if necessary, a quick phone call to your insurance provider to find out. It’s important to note something relating specifically to IT equipment as well. Whilst we proudly and accurately state that we don’t damage things in transit, things such as IT equipment can be notoriously vulnerable to ‘playing up’ after a move from one location to another. That can sometimes be a problem when you’re moving a PC or file server from one side of your existing office to the other and it might be even more of a risk when it is being packed, carried outside to a vehicle, transported to another location and then unpacked etc. It is very easy for things such as disk heads to move out of position or occasionally even hard disks to be jarred and damaged. This sort of thing can be impossible to spot visually and it may not even become apparent until sometime after you have switched the item on in your new location. So, look carefully at the existing policy and ask your insurer just what it will and will not cover.